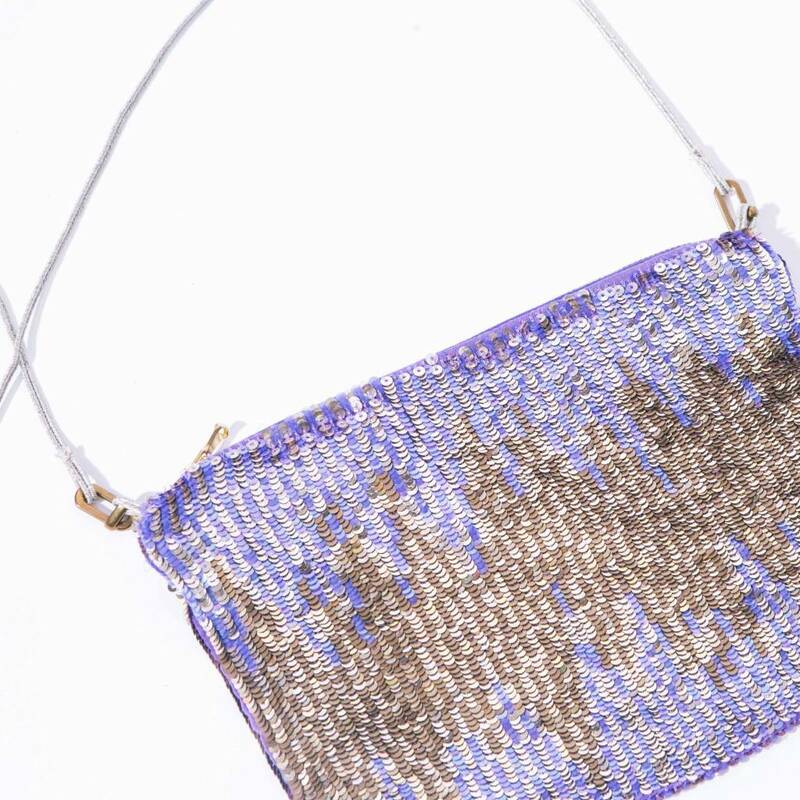 Lyell is the relaunch of Emma Fletcher's 2003-2010 cult label. With her unique sensibility in tact, Fletcher pushes Lyell forth with a new vision and fresh feel. She creates fun and simple shapes that blend fantasy with equal parts elegance, grit, and youth. What results are distinct pieces that seesaw between practical and fantastical. Lyell's simple concept breaks all of the rules of the fashion world - no seasons, no collections, no fashion schedules to abide by. One can anticipate a steady roll-out featuring one original new piece, on one girl, in limited editions, on a continual feed. 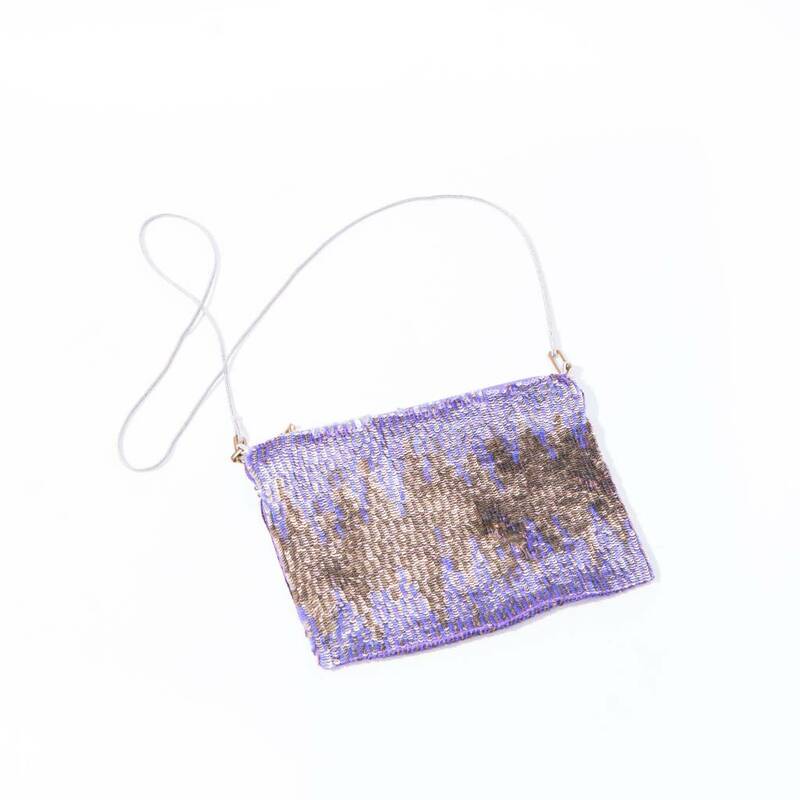 Petite metallic violet and gold sequins line up to form an icicle pattern across the entirety of this purse. 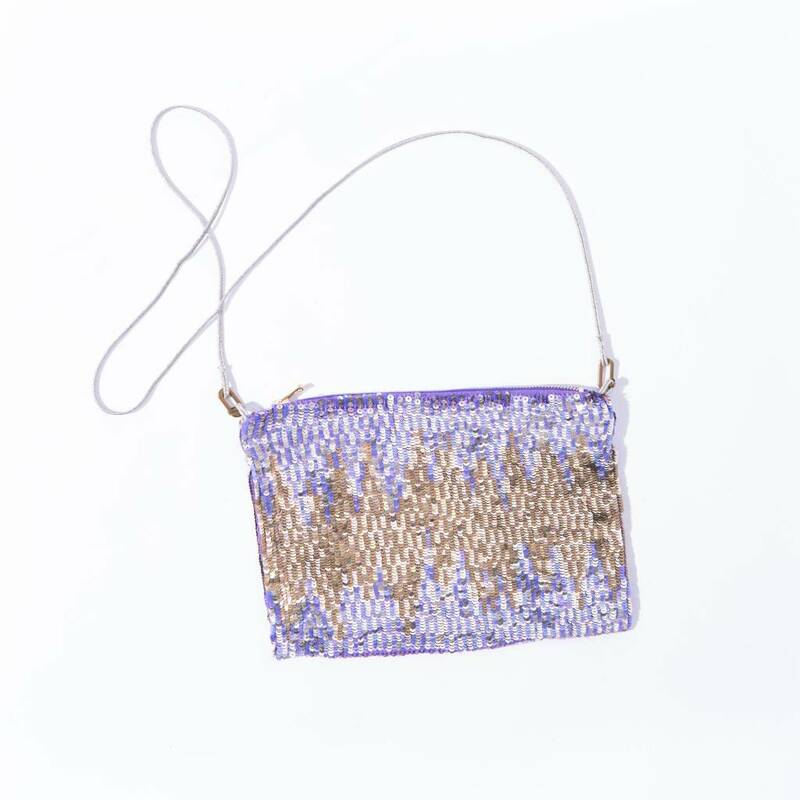 One compartment, gold-zippered with a violet silk habotai lined interior. 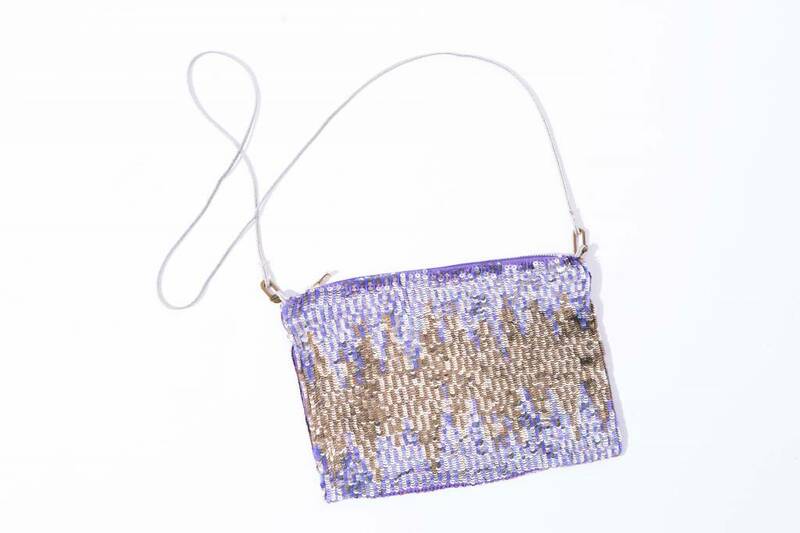 Antique silver/gold metallic trim shoulder strap.